The image of a bowerbird, feathering its own nest, is often used to describe the proud homeowner of the detached house in the suburbs. However, as the concept of home has ‘morphed’ to include apartment living, one’s nest is composed of a variety of ‘twigs’. 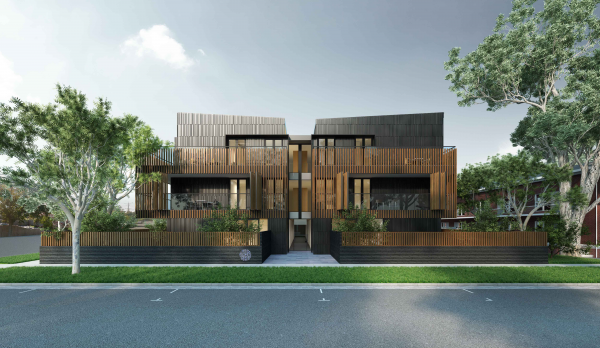 Bowerbird, the concept of k20 Architecture, will provide a new nest for those looking for a new home in Ormond. Renowned for their unique courtship behaviour, the bowerbird creates a sanctuary; it creates a nest and essentially a home on the ground around itself. k20 Architecture found that the space occupied by the bowerbird at the centre of the nest relates to the manner in which the inhabitants of the apartments are screened and enclosed. Just as a bowerbird crafts its nest from materials and objects in its environment, the building’s form was derived from careful consideration of the surrounding environment, orientation on the block and its locality to ensure the comfort of residents on a year-round basis. Bowerbird in Ormond is 24 apartments situated on the corner of Lillimur Rd and Leila Rd. The site is the amalgamation of 4 separate dwellings and the creation of one allotment on a total of 1450 sqm parcel of land area. The project consists of a basement with car parking and 3 stories of living (Ground, Level 1 and Level 2) above. The Ground floor apartments will have full access onto their own private courtyards and the Level one and Level 2 apartments will have balconies equipped with operable privacy screens. k20 Architecture were mindful of the generic apartments dotted around Melbourne and its suburbs and took the path of responding to the needs of the local community, as much as the many streets lined with Californian bungalows from the 1920s and ‘30s. 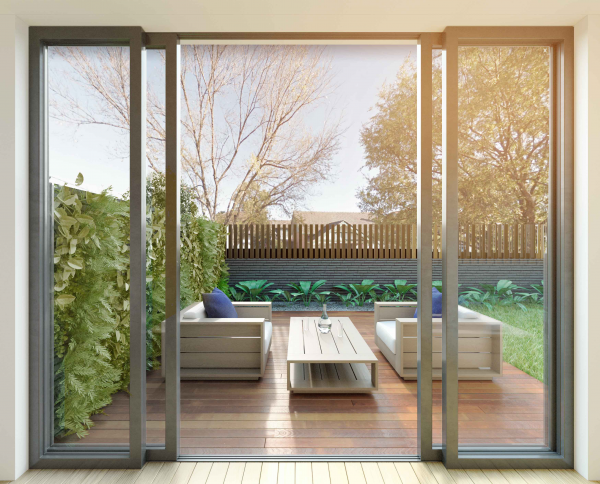 The deep terraces of Bowerbird, with their operable timber-battened screens, will loosely reference and reimagine these bungalows with their deep and protective porches. However, unlike the bungalows, air will move freely through the front windows via large sliding glass doors. A lantern-style roof, with highlight celestial windows will purge warmer air for those living on the top floor. The original housing stock of Ormond was generally constructed between 1890 and 1950, with some minor infill occurring after that time. Californian bungalow-style houses are common throughout the area and provided inspiration for the design concept for the development. Connection to nature through bungalows, the movement of design demonstrated an increased interest in the use of natural materials, craftsmanship and non-industrialised building products and techniques. The form of the bungalow as a space connected to nature provided inspiration for the concept of verandah and the sense of shielding, protecting and enclosing a space which is an interface between the inside and the outside. The connection between the bungalow as a built form and the sense of a nest or home was found in the bowerbird. As with the craftsman ship and connection to nature of the bungalow, the concept of the bowerbird's nest was also a key driver of the design for this project. k20 Architecture's continuing focus on Environmentally Sustainable Design principles is evident in the design for the Ormond Bowerbird as sustainable principles are intrinsic to the design and form the core of the planning of this project. 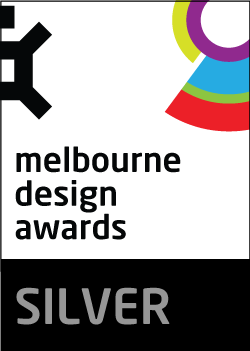 It includes passive solar design, natural cross ventilation and the selection of sustainable building techniques and energy efficient materials and fittings, as well as delivering these to exemplary standards being an 8 star-rated building. The surrounding ecology is within the DNA of the entire building. The building is proposed to be constructed out of timber and natural products such as rammed earth walls. The project incorporates fixed and operable shading elements, a well-insulated building envelope, a highly-efficient ventilation system, and double glazing on floor-to-ceiling windows. A series of clerestory windows are also incorporated to illuminate the heart of the development. The windows will be open-able to create cross flow ventilation.